Rebecca Rovay-Hazelton, author of “Choosing Health” stops by Underground Wellness Radio to discuss why diets don’t work and how we can turn mundane decisions about food and exercise into opportunities for choosing healthier lives. Topics include customizing your diet to support metabolic individuality, goal-setting and motivational skills, improving digestive and adrenal health, and postural therapy. 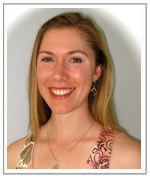 Learn more about Rebecca at www.choosinghealthnow.com. This entry was posted on Wednesday, June 9th, 2010 at 10:14 am and is filed under Uncategorized. You can follow any responses to this entry through the RSS 2.0 feed.